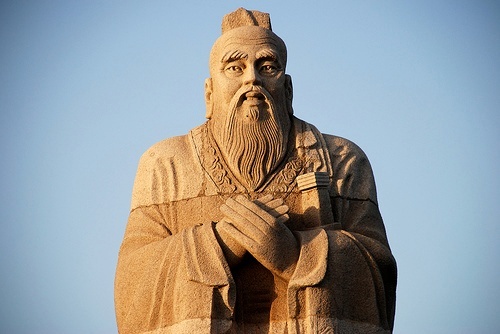 In just a handful of words, Confucius was able to adequately summarize the world of statistics. Because when you think about it, the main use of statistics is to study the past so we can divine the future. An engineer performs a reliability analysis on defective refrigerator compressors in order to predict warranty claims. A quality engineer studies whether the can-filling process meets specifications to ensure future cans are made correctly. To predict future fantasy football results, we should study results from previous seasons. There's good news and bad news about that. The good news is that last year I did exactly that. I used a regression analysis to predict a player's upcoming fantasy performance based on the previous two seasons. The bad news is that the R-squared value was only 61%. That’s not terrible, but I wonder if we can do better. One reason the R-squared value was low is all the offseason moves. The statistics from Brandon Lloyd the last two years can’t account for the fact that Tom Brady is now his quarterback. Stats also don’t account for injuries: the numbers for Adrian Peterson have no idea that he is coming off a torn ACL. Rookies are also a problem: Trent Richardson has no statistics in the NFL to plug into the model. Fortunately, both ESPN and Yahoo have projections that account for all of these issues. So we’ll use those to help us out. Ideally I would do a regression analysis to see how well projections from ESPN and Yahoo predict a player's fantasy score at the end of the season. The problem is, I can’t find any projections from ESPN and Yahoo from previous years! Either my Google skills are subpar, or they remove the projections so people can’t find out how much they’re off by! Next year I’ll be able to run my regression analysis with this year's estimates, but that doesn’t help us now. So for this year, I’m going to give each of my 3 predictors an equal weight. NOTE: Rookies have no stats from previous years and therefore will not have a Minitab projection. In this case I took the average of their ESPN and Yahoo projections. But we’re not ready to rank our players yet. It’s not as simple as deciding who will score the most points. If Aaron Rodgers is projected for the most points, but there are 10 other quarterbacks that are projected for only 5 less points, it doesn’t make sense to spend a high draft pick on Rodgers. You can grab a quarterback just as good later on. So we need to compare our projections for each position to an “average” player. A common way to determine the average player is to use the number of players in each position that are drafted in the top 100. So I’m going to use EPSN’s average draft position look at the first 100 picks. You can download the data I used for this analysis here. We see that on average, 15 quarterbacks and 37 running backs are being drafted in the top 100. So I look at my projections, and see that Matt Schaub is the 15th ranked quarterback with a projection of 245 points. The 37th ranked RB is Pierre Thomas with 120 points. So I’ll subtract 245 points from all RB Overall projection scores, and 120 from all RB projections. Then I’ll rank the players based off of this new value (I called it Value Score). So it’s not just how many points you score, it’s how many more you score than the average player. Now we’re ready to divine the future! Wait, what’s this? Didn’t I just say two weeks ago that Aaron Rodgers should be the #1 pick? Well, that was based on the trend that QB scores have been the last 6 years. All three projections I used for these rankings say that Rodgers (and the top QBs in general) will score fewer points than last year. Honestly, I don’t think you can go wrong with either Foster or Rodgers as your #1 pick (and the other as #2). But because running backs are so inconsistent, I definitely wouldn’t pick Rice over Rodgers. Remember, Rice is just two years removed from being the #14 fantasy running back! As for Brady and Brees, if you feel confident that either Rice, McCoy or MJD will be top 4 running backs, then take them over the QBs. But I would feel more comfortable with the consistency of Brady or Brees. Either way, those quarterbacks should be off the board early. If you want a WR early, it’s Calvin Johnson or nothing. Why do I say “or nothing”? Because it’s going to be awhile until you see another WR. Yep, that’s Trent Richardson at #10. His average draft position (AVP) is currently 35, so there is no need to grab him at #10 in your draft. But the numbers say you should definitely try and grab him later. Speaking of value, McFadden and Peterson’s AVP are 23 and 21 respectively. There is a good chance they will outperform their draft position. The two elite tight ends both make the top 20. But their projections are identical. Because Jimmy Graham is being drafted much later than Gronkowski, he’s the TE you should target. But the biggest thing to take from this is the fact that there are no WRs. After Calvin Johnson, you’re just not getting enough value to draft a receiver early on. Because he missed games to injury, Michael Vick’s total points weren’t great last year. But his points per game still made him a top 10 QB. He’s currently not being picked until the 4th round. Taking Vick can be a bit of a risk because he gets injured often, but if he stays healthy the pick can definitely pay off. Hey, I found the wide receivers! By the time you get to the 26th pick, all of these receivers will most likely be gone. Because of that, I would concentrate on getting a QB and running backs early in your draft. In a 10-team league, these picks are going to come in the 4th and 5th round. And that’s probably where you’ll finally want to take your first WR. Jordy Nelson, Dwayne Bowe, and Marques Colston are the first receivers to have projections above their ADP. Unless you took Calvin Johnson, the stats say these are the first receivers you should consider taking. Not only did Eli Manning win the Super Bowl last year, he also had his best fantasy football season ever. Because of this, his ADP is 28. But if you want to draft a QB later in the draft, Tony Romo is actually a better choice. Last year he scored only 8 less fantasy points than Eli, and this year he’s projected for more points. And with an ADP of 46, you get practically the same quarterback at a fraction of the cost. Wait, who is Doug Martin? When I did these rankings, I honestly had no idea. He’s a rookie running back who will start for Tampa Bay this season. His ADP is 78, but our projections have him much higher. He’s a rookie, so who really knows how things will turn out? But he’s definitely worth taking a flyer on. And here are the rest. The first surprise is Kenny Britt. This shows how the stats sometimes don’t tell the entire story. All the stats know is that Britt scored 15 points per game last year. But they have no idea that he only played 2 games, tore his ACL, and might get suspended for a recent DUI. But these rankings show he could be worth taking a chance on. His ADP is 107, so there is the opportunity to greatly exceed that ranking. The problem is that he has to get on the field first. Ryan Mathews is a different injury case all together. Reports say he will miss the first 4-6 games of the season. So to compensate, I assumed he’ll miss 5 games and adjusted all of his projections to account for 11 games instead of 16. He was a top 10 pick before that, but now he drops down to 62. And there you have it, the Minitab top 100. See any player rankings you really like? Any you disagree with? In the meantime, enjoy the fantasy football season. When it concludes, we’ll come back and see just how well we were able to divine the future! Photograph "Confucius" by Rob Web. Images licensed under Creative Commons Attribution ShareAlike 2.0.